Nothing is more frustrating than waiting to own the latest and greatest, only to find out your shiny new tech has a small yet steadily annoying glitch. Recent reports show that the recently released iPhone 8 is experiencing a bug with its display. 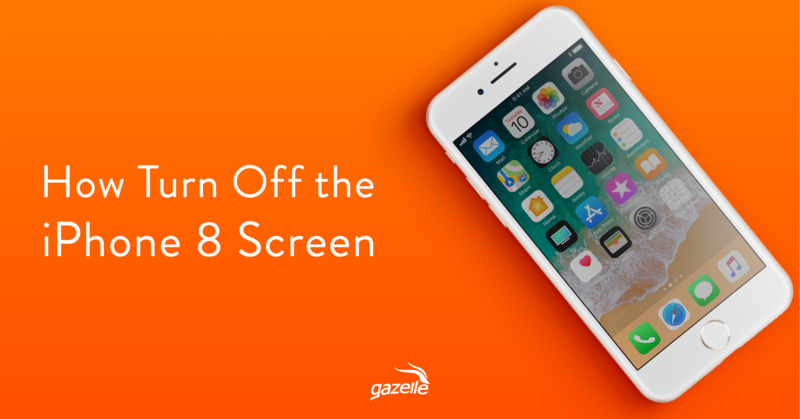 Instead of auto-dimming in the appropriate time frame, several users are claiming the screen simply won’t turn off on its own. Quickly push the “Volume Up” button and then the “Volume Down” button found on the side of your iPhone 8. Hold the “Sleep/Wake” button on top of the iPhone 8 until the Apple logo appears on the screen. Push and hold down on the “Volume Down” and “Sleep/Wake” buttons for 15 seconds. The Apple logo should appear and the restart will commence. Push and hold down on the “Sleep/Wake” button for ten seconds. The red slider should appear to power off your iPhone 8. One of these two ways should work and you’ll be able to get back to enjoying your iPhone 8. It should be noted that bugs are more common that thought of when new tech is released. Remember to keep calm and browse the web when you first experience any issues. Stay tuned as this post will be updated with further information on the bug and other iPhone 8 Display news. Looking to buy the iPhone 8? Gazelle has certified used iPhones in stock for a fraction of the retail price tag. If you’re opting to trade in your iPhone 8, we accept them on our trade-in store.